We have watched the YBN legacy grow before our eyes over the past year ever since YBN’s frontman Nahmir dropped his hit record Rubbin off The Paint last September. Fast forward to present day, and with his two compadres Almighty Jay & Cordae joining up to form one of the strongest collectives in the game, YBN: The Mixtape is finally in our grasp. Bursting with 23 tracks laced with new-and-old YBN, the trio connected with a number of notable guests including Asian Doll, Cuban Doll, Lil Skies, Wiz Khalifa, Chris Brown and Gucci Mane who appears on the standout, New Drip. 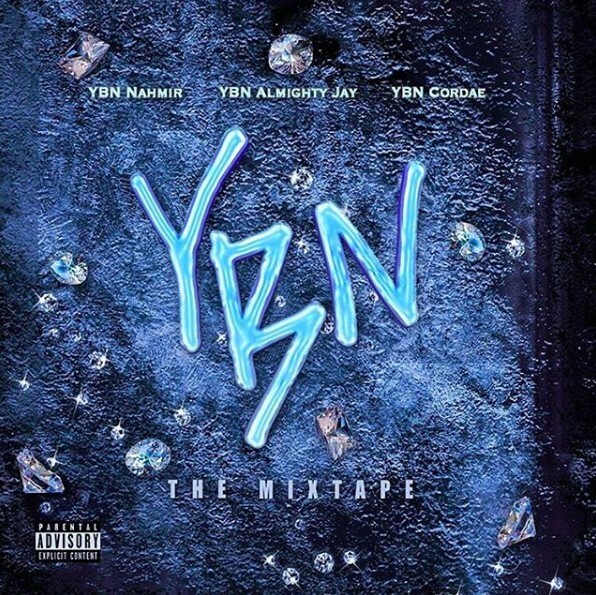 Along with an even bigger list of producers (Wallis Lane, Foreign Teck, Hitmaka, Cardiak & Hoodzone to name a few), the debut YBN tape is bound to create a real stir once it makes its rounds as Nahmir, Almighty Jay and Cordae refused to take their foot off the gas pedal for even a second. Having said that, start your end of the week off right with YBN: The Mixtape now streaming everywhere!